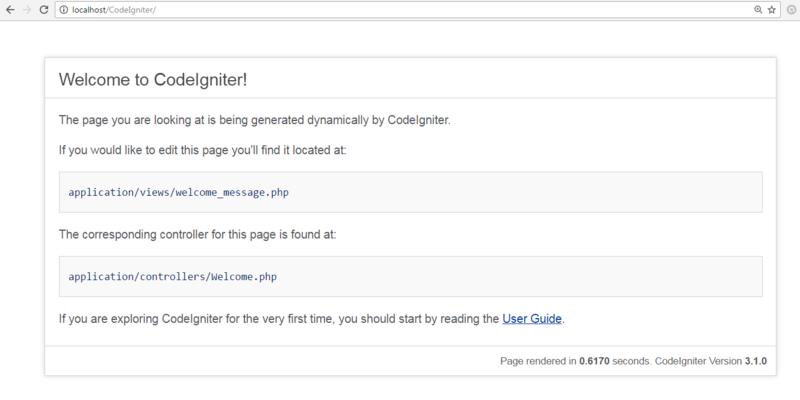 1) Download CodeIgniter from its official website. 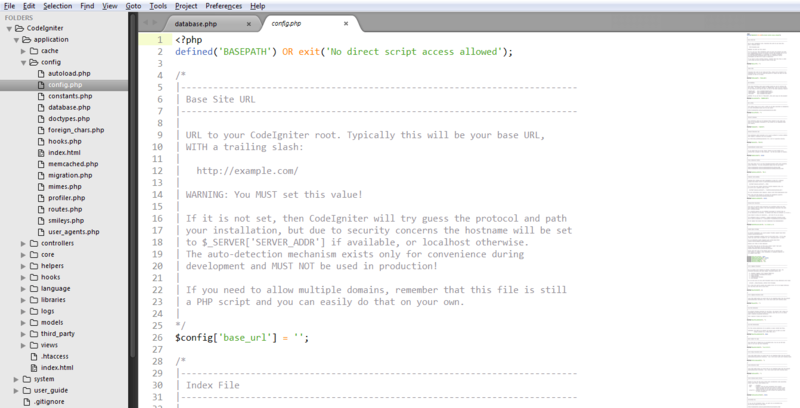 Downloaded CodeIgniter will be in zip format. Copy it and place it in your htdocs folder. Unzip and rename it. We are naming it as CodeIgniter. On browser type localhost/CodeIgniter/ (after localhost type name of your unzipped folder). If the above snapshot page appears then it means your file is successfully installed. 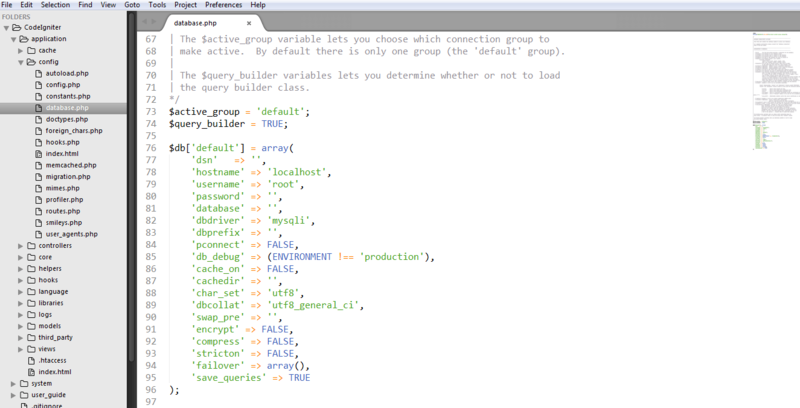 4) Set the base URL in application/config/config.php file with any text editor. 5) You need to establish the connectivity to your database. Go to the path application/config/database.php file. Look at the above snapshot, fill the details about your database like hostname, username, password and database name.